"Potent songcraft that reflects the tender and stubborn heart that got her here, and a way with words and images that doesn’t so much transcend the legacy of her earlier work as it marks the beginning of a new path to glory. A bold and beautiful collection." Tracy will star as Barbara Apple in "Sorry," Greenfield Community College's spring theatrical production, this April 18-20 and 26-28. Written by Richard Nelson and directed by Tom Geha, "Sorry" takes place the morning of Election Day 2012 and offers an intimate glimpse of the intersection of politics, love, and family drama between reunited siblings and their beloved uncle. Check the calendar for details and make plans to join us for this special production. Effective January 17, 2019, Tracy has partnered with Baker Booking, a division of Musicalou Productions, for her North American tours. She is working with agents Louise Baker and Bruce Swan to plan another coast-to-coast-and-back-again tour for Fall 2019, with regional concert availability and national festival availability in Spring and Summer. Write to Louise or Bruce to inquire about bringing Tracy to your venue, festival, song camp, or conference. 2018 AIRPLAY RESULTS ARE IN! LOW TIDE was the #9 most played album for the year on Folk Radio around the country, with "Good Life" coming in #11 on the most-played song chart, and "Hole" coming in at #22. Tracy Grammer was the #13 most-played artist, and the Dave Carter & Tracy Grammer duo was #126. We are grateful to DJs and fans everywhere for embracing the new songs, and continuing to play the old. See the full Folk Dj Airplay Chart here. In partnership with FanClubCruises, Tracy will perform aboard the Royal Caribbean "Radiance of the Seas" as it sails from Vancouver, BC to Seward, AK the summer of 2020. Join us for a seven-night adventure in one of Tracy's favorite places on earth! Details here. ​LOW TIDE closes the year strong, appearing on a few best-of lists. We're thrilled! Fish Records UK "Top Ten Albums of 2018"
11/15/18: Tracy is on tour as a member of the Eliza Gilkyson Trio (also feat. Jim Henry) contributing violin, viola, mandolin, and harmonies in support of Eliza's SECULARIA album release tour. 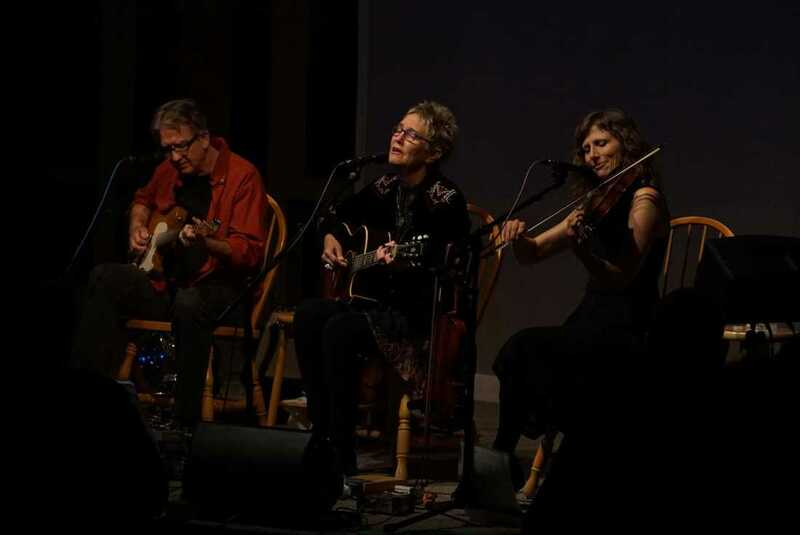 SECULARIA has topped folk charts for several months and the trio are enjoying playing New England's finest listening rooms, most of which have sold out! 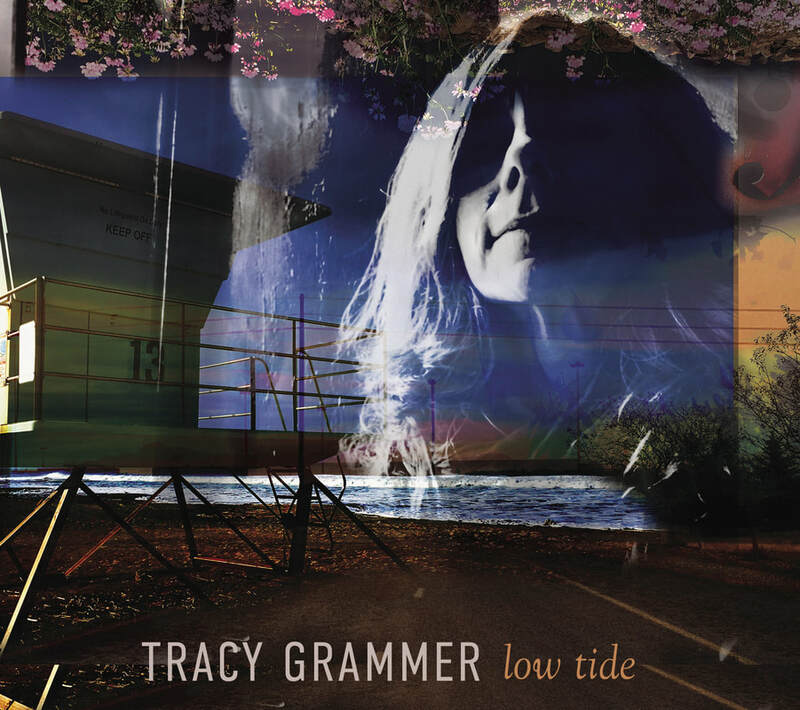 Tracy recently wrapped a 22-city solo acoustic tour of her own across the U.S. in support of LOW TIDE, her new CD of original material which was released in January and has been called one of the Top Ten Albums of the Year by Fish Records UK. The LOW TIDE tour picks up again Thanksgiving weekend and continues throughout the remainder of the year with shows in GA, NC, MA, NY, FL, PA, and MN. See the shows page for upcoming tour dates, and follow along on Instagram for highlights from the tour. Tracy's hashtag #lovetouring marks updates across all social media. #1 most-played song -- "Hole"
#5 most-played song -- "Good Life"
#10 most-played song -- "Forty-niner"
#19 most-played song -- "The Verdant Mile"
We are grateful to the DJs for embracing this new music, and to all the listeners who continue to ask for it! If you haven't heard the album yet, you can check it out on Spotify. 2/21/18: On the heels of opening slots for Judy Collins and Paula Cole earlier this winter, Tracy recently showcased alongside The Kingston Trio at Folk Alliance International in Kansas City, the industry's annual conference. While it's true the founding members of the Trio are long gone, the legacy band fully captures the arrangements and energy of the original and they were delightful, with fans of all ages singing along. If you love what I do and want to help me keep doing it, consider dropping a few into the virtual tip jar. Every little bit helps keep the tank full and the art coming. ​Thank you! Tracy was the first guest on Jim Henry's new podcast, Pro Tips for Musicians, where they discussed Pro Tip #35 -- "Always be telling the story" -- from Henry's forthcoming book. Check out this in-depth, 90-minute interview with Artie Martello, where he and Tracy discuss the Dave Carter years, the making of LOW TIDE, and more.